Favorite Finds is back! 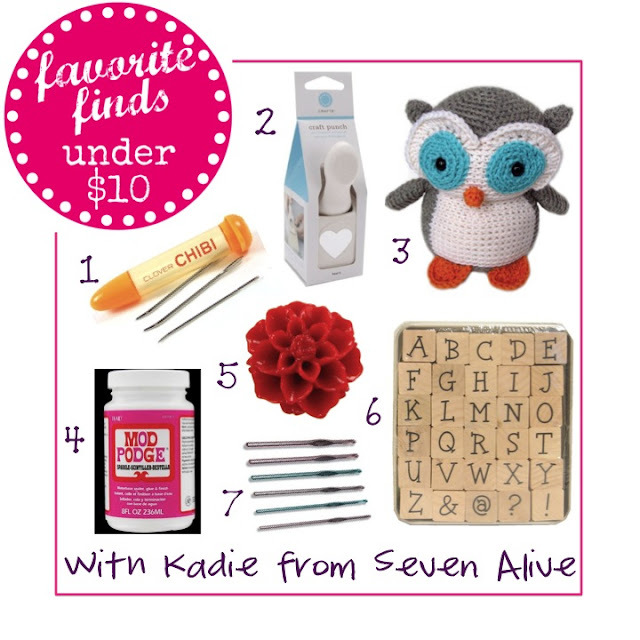 It’s been over a month and I have Kadie from Seven Alive sharing a few of her favorite craft supplies. 1. Hooked tapestry needles, for weaving in yarn ends. 2. Tis the season for hearts and these punches are my favs right now. 3. My very favorite crochet pattern! 4. Sparkle Mod Podge is the best! 5. Couldn’t live with out my Cabochons. 6. Totally having a love affair with these stamps at the moment. 7. These are the best crochet hooks I have used. 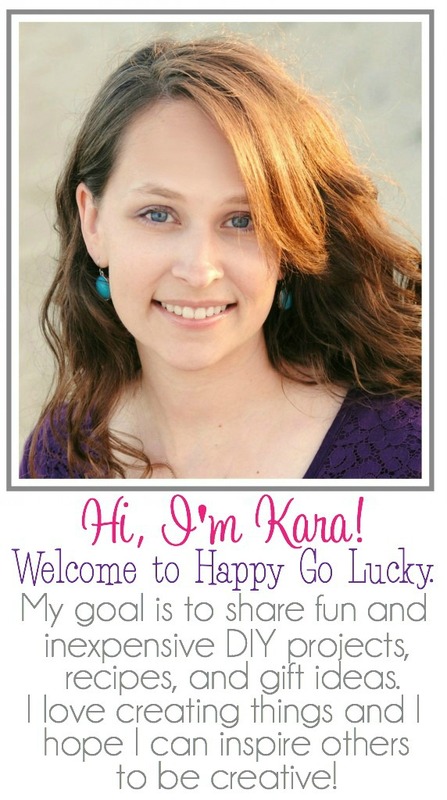 Thanks Kadie for sharing these great finds! Now I just wish I could crochet! !